Fall is in full swing which means all the great candles are out! I love candles. They’re beautiful, make any room smell delicious and just add a nice touch of decor. Recently, I’ve been trying to make things that I would normally buy, as DIYs. DIYs are my favorite. They’re cheap, easy and super fun to make. 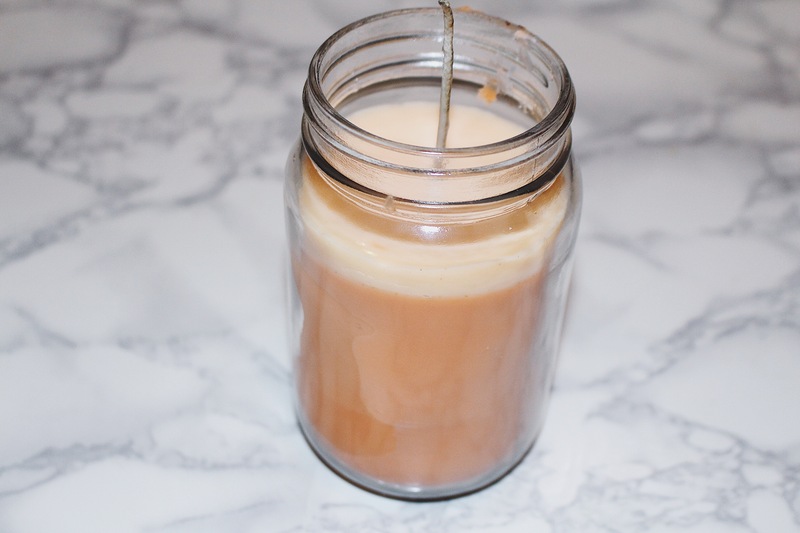 I came across a bunch of recipes for DIY candles and decided I wanted to make one for the Fall season. 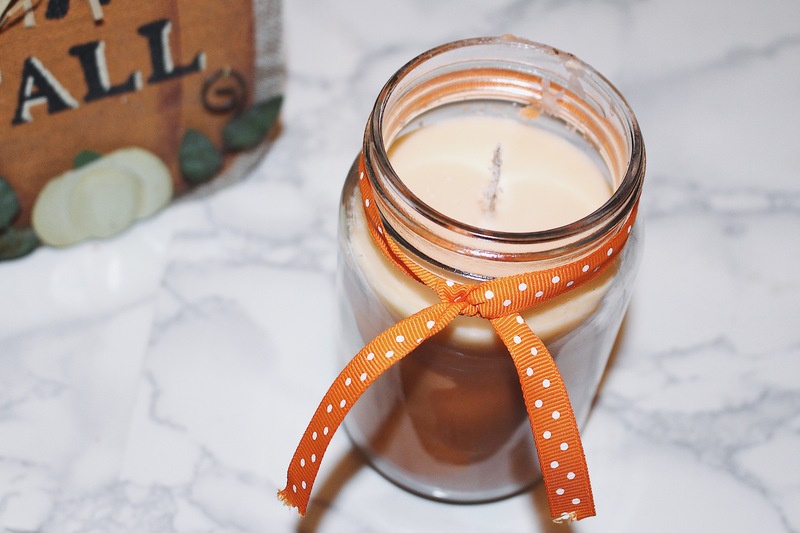 In this post, I’m going to be sharing how to DIY: Pumpkin Spice Candle. Glass jar w/weighted bottom candle wick – If you don’t have a pre-made on you can buy the candle wicks and jars separately. 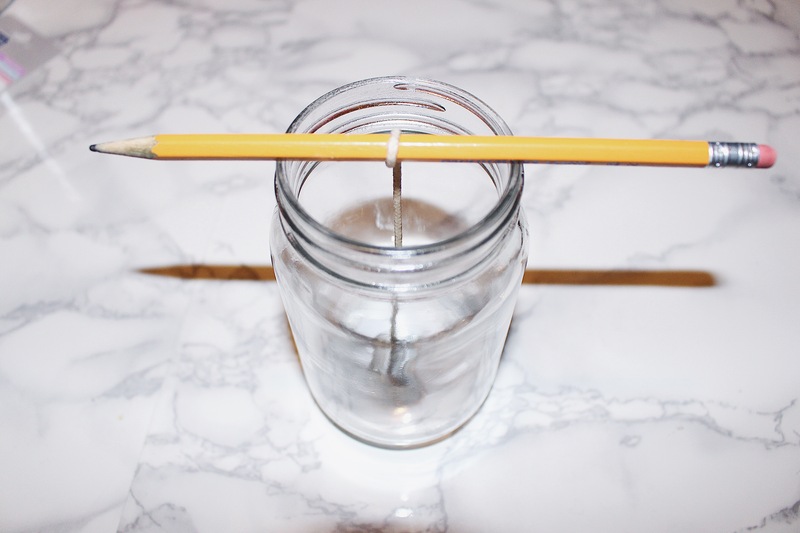 Take your pencil and gently wrap the wick around it. 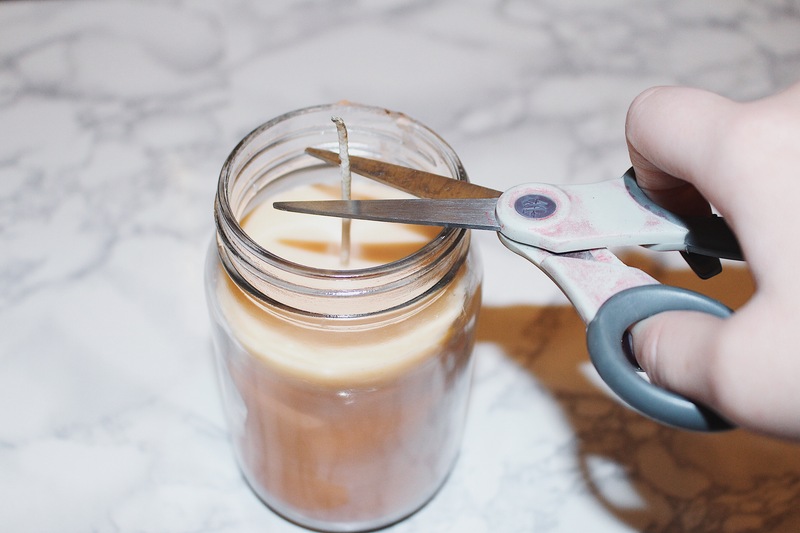 This will ensure your wick does not move when pouring wax into jar. 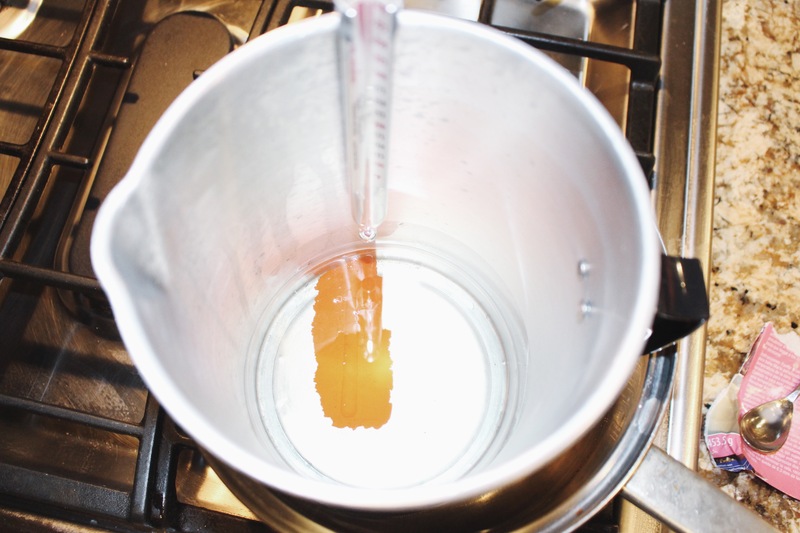 Measure your wax to the jar – my wax came as 3 cubes, I used 2 for the first pour and the last cube for the fill up. 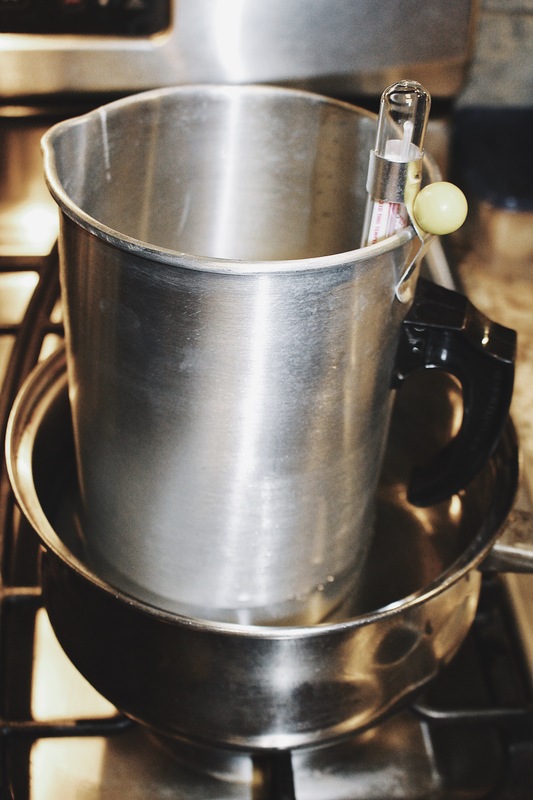 Place your first 2 cubes into the pouring pot with the thermometer and then place the pouring pot into a pot filled halfway with water. 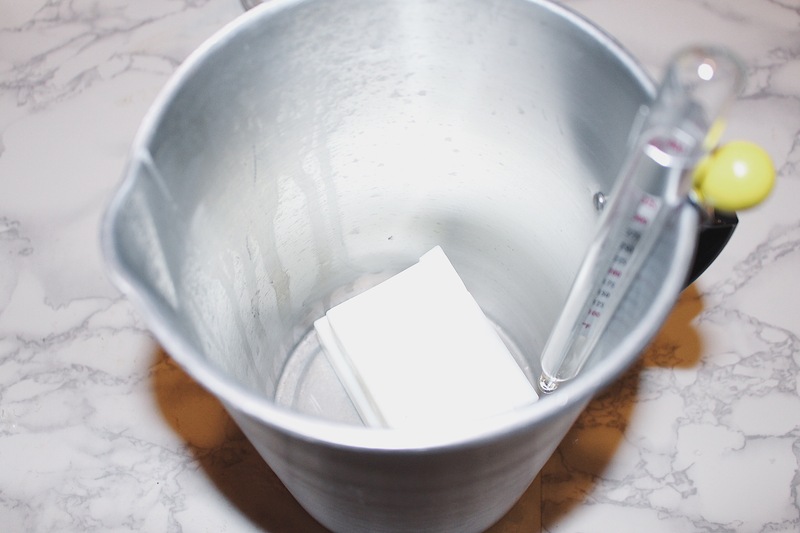 Heat until wax melts completely (180°F). At 180°F add your orange crayon and let melt completely. 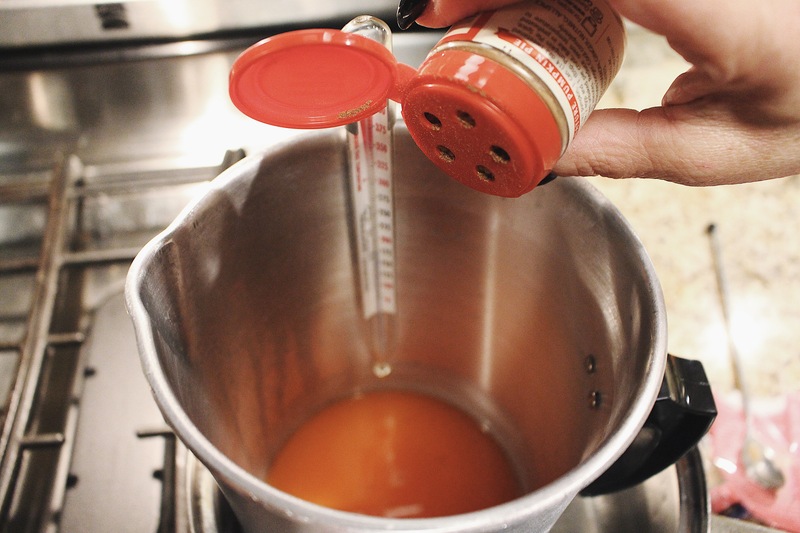 Then turn off heat and let the wax cool to 175°F, once cooled add your pumpkin pie spice (I don’t have a measurement for this I did as much as I felt). Stir completely to ensure spice is distributed throughout. 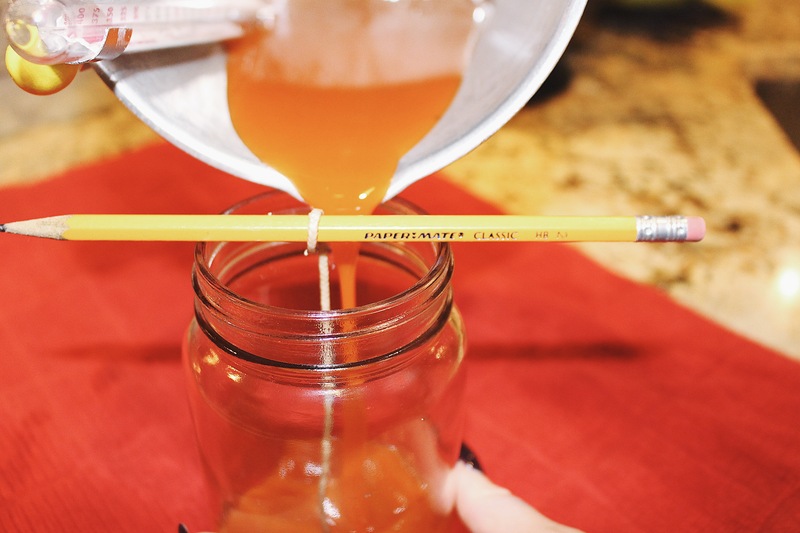 Slowly pour the wax into your jar. Let cool 60 minutes. 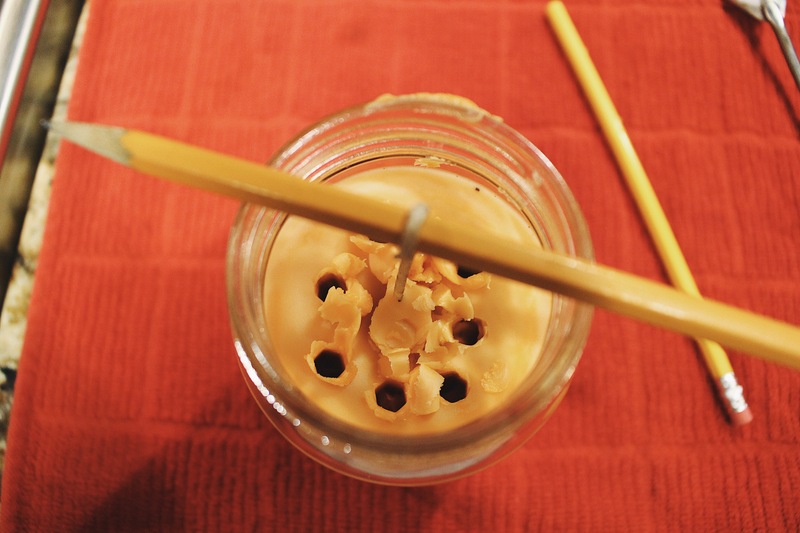 Once cooled for 60 minutes take another pencil and gently poke holes into the wax around the wick, to let the air escape. Melt your last cube of wax to 175°F then slowly pour wax into the poked holes, try to not exceed the original fill line. Let your candle cool overnight. 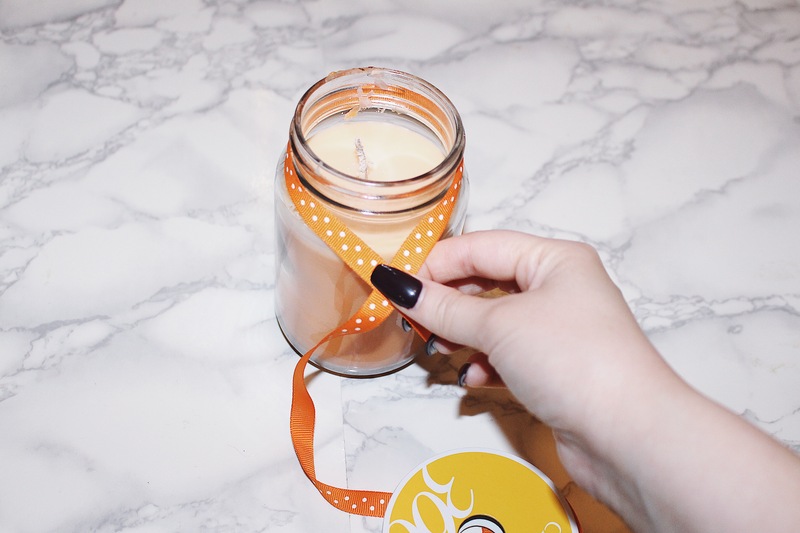 Once completely cooled, cut down the wick and tie your festive orange ribbon around the jar. 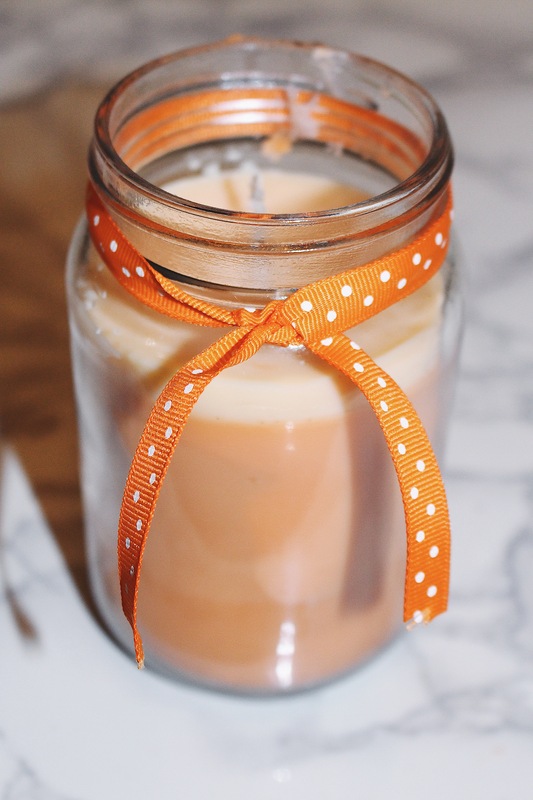 Enjoy your lovely pumpkin spice candle! I hope you all enjoyed this post! Making candles is super easy and fun to do. They also make a nice gift. Thanks for reading! This is so cool! 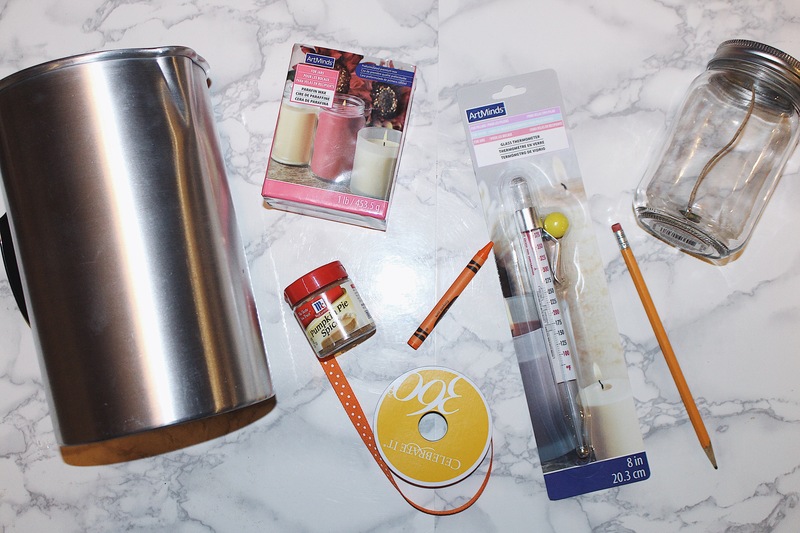 And they could make really great, inexpensive gifts for friends during the holidays. I’m such a sucker for bath and body works candles so this may be a nice alternative, haha! Thank you so much! I agree! I’m all about bath & body works stuff but sometimes it’s so expensive & it’s so much more fun to diy! Thanks for reading! (: xo! Wow! I never knew it was this easy to make a candle! I’m so finicky about scents so it would make sense for me to make my own. Thanks for the inspiration!! !